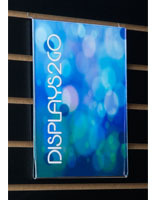 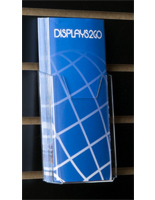 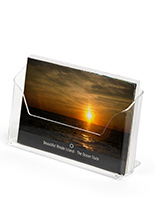 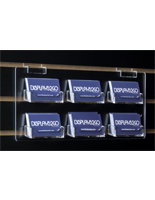 This slatwall postcard display is made of clear acrylic with a 1" deep pocket style design. 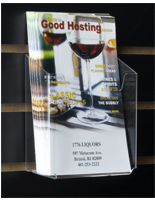 Each clip-on fixture is 6.5" wide, making it a great choice for showcasing standard 6" x 4" post cards. 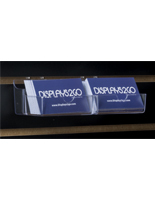 This postcard display slat-wall accessory has a 2-piece design that attaches easily to slatted fixtures and can be moved or repositioned as needed. 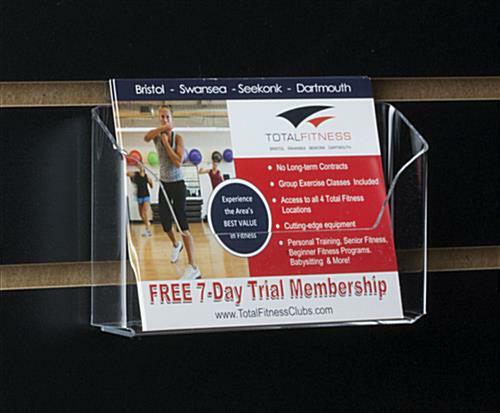 This plastic pocket is 1" deep and allows contents to be easily seen by customers. 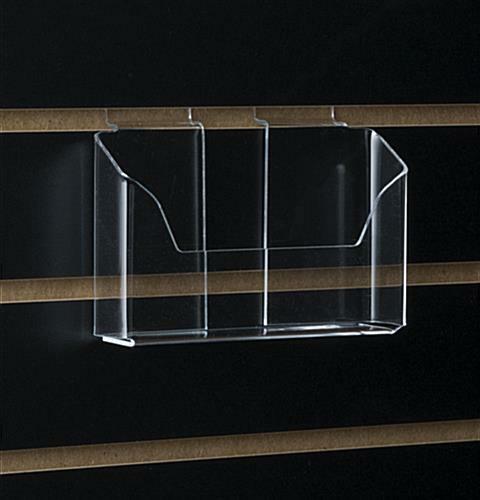 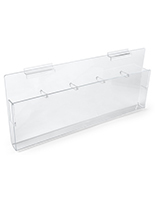 This clear acrylic postcard display pocket for slatted store fixtures works with countertop, freestanding, or wall displays as needed. 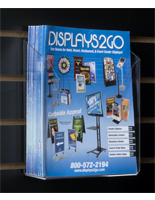 This high visibility rack is a great way to showcase cards, coupons, or other small merchandise up to 6" x 4" in size. 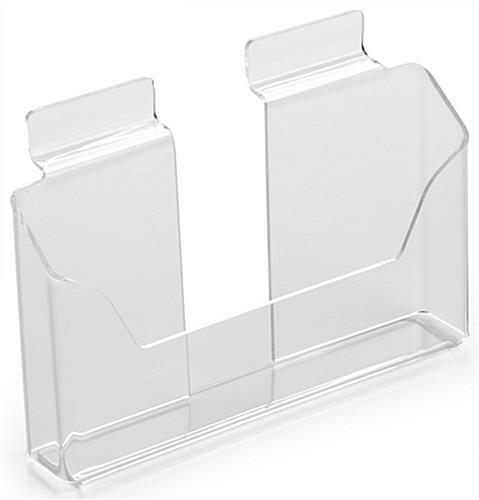 6.0" x 3.3" x 1.0"